Founder Fabrice Bonvoisin (left) with the Hungarian Commercial Attaches for New York and D.C., as well as the Consul General of Hungary to New York. 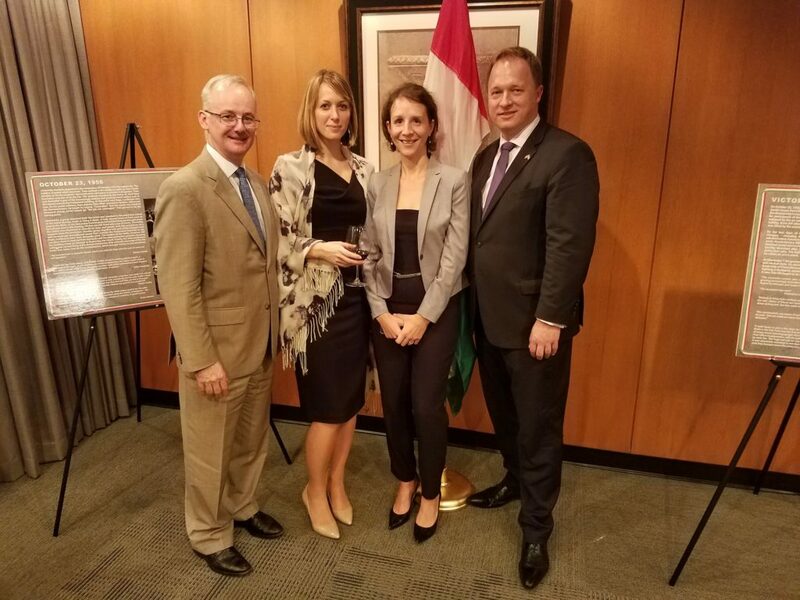 The Hungarian National Trading House, a public-private partnership of the Hungarian government and Hungarian Chamber of Commerce and Industry, hosted a Taste of Hungary event at the Library of Congress. Hungarian dignitaries were present at the event, as well as representatives of grocery stores, liquor stores, and wine shops around the Washington D.C. area. Contact the Trading House here. Read more about the event on the Hungarian Embassy’s website here.